Kratom is also called Mitragyna speciosa. It is a plant that belongs to the star-leaf family, together with coffee and a number of other plants. It’s originally from South-East Asia, where it has traditionally been used as a folk medicine in the treatment of pain, fatigue and other disorders. Kratom could cause a soft, intoxication feeling, just like other stimulants. Our main advice is to always follow the instruction on the package, and never exceed the recommended dosage. Are you looking for a product which can give your energy a boost? Kratom could be the one! Kratom can be a powerful stimulant. That’s why kratom leaves are often chewed by farmers to generate an energy boost, and to counter feelings of excessive exertion. When you use Maeng Da, Malaysia or Thai in small doses, these kratom species could generate a stimulating and energetic effect. In Thailand and other parts of Asia pain relief is one of the main reasons for the medical use of kratom. The three most effective kratom types for pain relief are Bali, Malaysia and Maeng Da. These kratom species are made from plant species which provide a huge relief, in even the most severe pain. Whether you have chronic pain or a sports injury: kratom could be the solution. Another great effect of kratom is the ability to improve your mood. 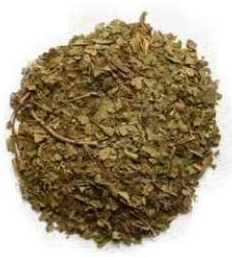 Many users experiences that the effects of kratom are accompanied by a powerful feeling of euphoria. The perfect dose for a better mood varies by species, and you’ll probably have to experiment to find out what works best for you. For an average kratom species, these effects are usually noticeable at doses of 3 to 6 grams. Do you still have some questions about the effects, or about the several types of kratom? Please feel free to contact us!